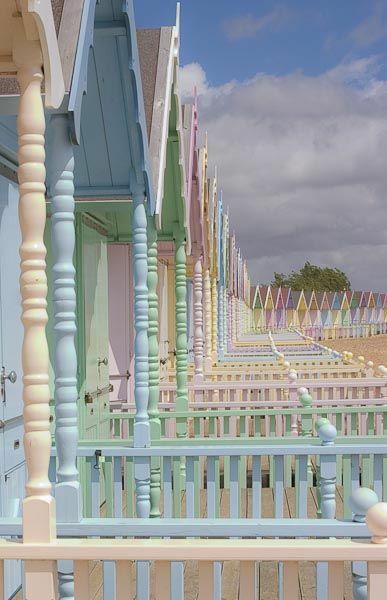 Little beach huts lining the coast of West Mersea, Essex looking out across the North Sea. 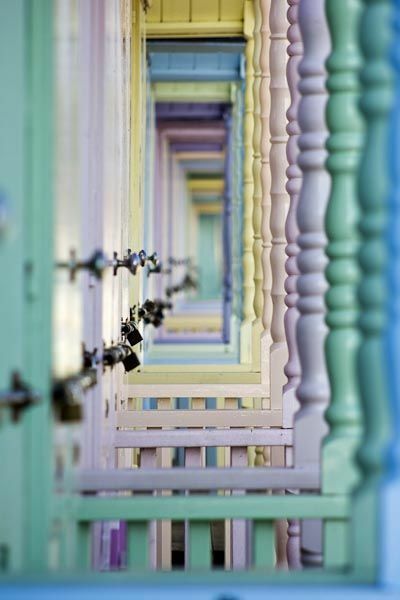 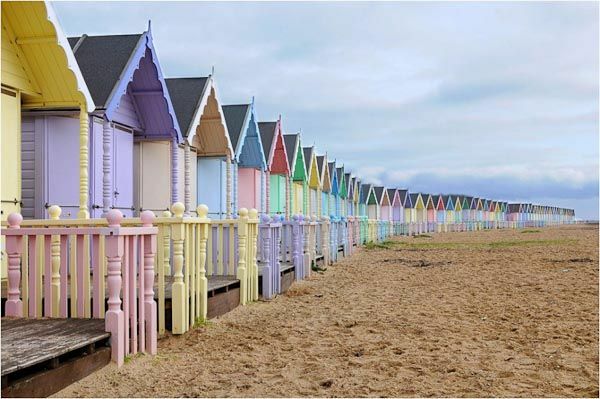 West Mersea, home of the pastel beach huts shown, is in Essex and looks out over the North Sea not the Irish Sea. 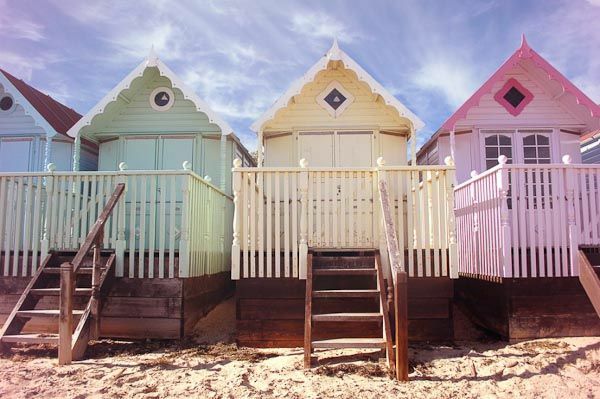 The new huts are being built in Lytham St Annes, in Lancashire.